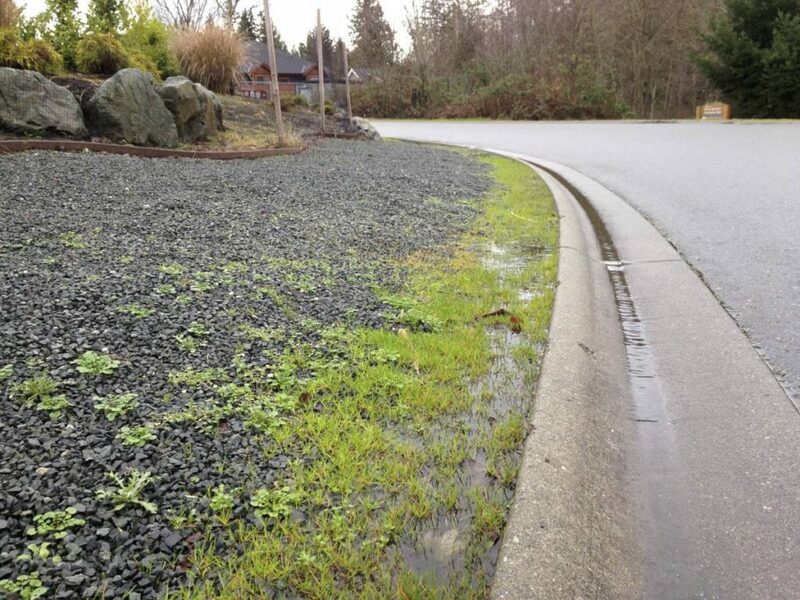 We had a massive response to this post and would like to take the opportunity to answer one of the most obvious questions that surfaced if gravel is not a good choice for an area once occupied by lawn what the alternatives are? The list below is by no means comprehensive, but it gives you a taste of the choices which are available. The first is for those who wish the look of a lawn but don’t want the same work which is typically involved, for you an eco-lawn may be a good choice. What is an eco-lawn? It’s a lawn whose seed mix has blends of grasses that typically require less water and are slower growing; thus you don’t have to mow this as often. 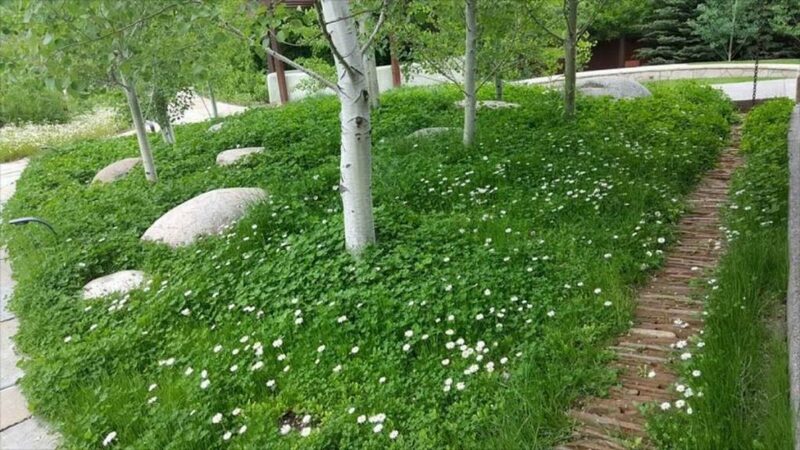 One of the more exciting choices is a ground cover blend which has some soft grass blends along with English Daisy, Yarrow, Clover and others. In this image, a trademarked seed blend called Fleur de Lawn is shown. This blend can be mowed regularly to obtain a traditional look or allowed cut on a monthly basis. 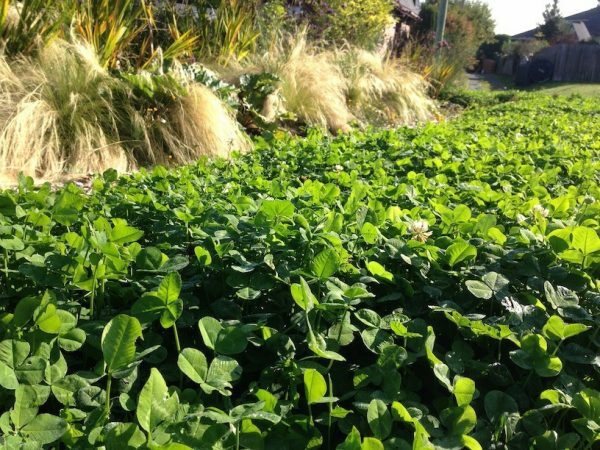 Not only that but the water requirements for this type of ground cover are far lower than a conventional lawn. Okay so if either of the above options doesn’t work for you, then you might want to consider improving the current conditions of your existing lawn. Most landscapes have an inherent constraint that is very hard to overcome. During most house construction, once the foundation finished the area is back-filled, and the extra material is graded out over the land. Re-using this material is a great idea, but when the job is complete, you have a compacted landscape that will have challenges for years or decades to come. So how does one fix this? 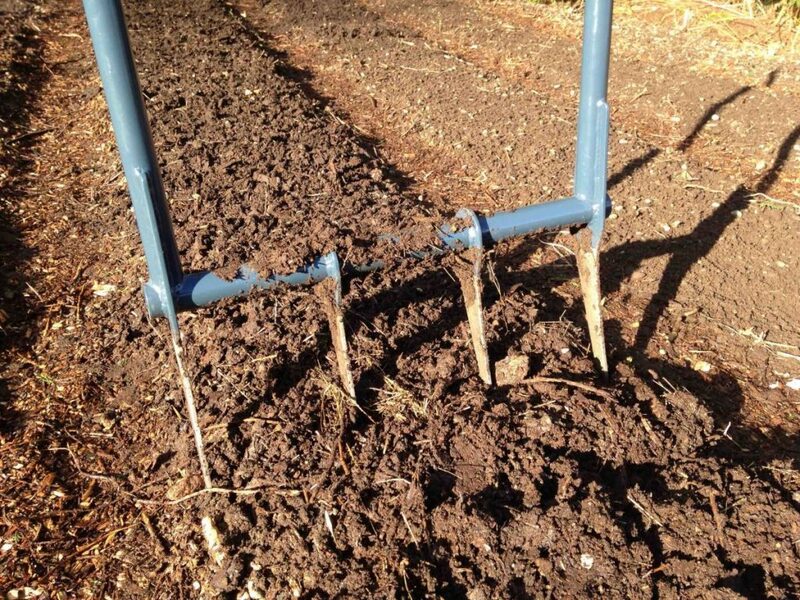 One of the most straightforward approaches to this issue is to use a broadfork, and this tools typically have long, sharp tines which allow the user to break up the compaction layer without disturbing the soil surface. It takes a bit of effort to de-compact a lawn, but once you’ve achieved this, the results are quite remarkable. Now you could take this one step further, after the area has had some broadfork work you can then re-establish the proper balance of soil organisms, yes the life which lives in our soils. These are critical for any plantings to thrive and they also help break up compaction and improve your soil structure. More details on this process to come in our next blog. So no matter what your aesthetic choice maybe, there are some good solutions available for your landscape. Resist what appears to be a straightforward approach using gravel, it’s not the silver bullet it seems to be.